With such great public transport here on the Isle of Wight, this week we take a look at our “Clifton's Top 5 Days out by Bus”. The Isle of Wight Bus & Coach Museum was established in 1997 and was originally situated in two IoW Council owned buildings on Newport Quay, later this was reduced to one building and a Museum was created opening to the public during the summer, where a collection of vehicles and associated artefacts grew into an impressive display, to show the Island&apos;s transport heritage. Whether you&apos;re here on holiday or are lucky enough to live on the Island, Southern Vectis have some great routes taking you to areas across the Island that you&apos;ll want to explore. There are four seasonal routes, two of which are open top, so you can really catch the refreshing Island air as you Breeze around the Island! The Needles Breezer is one of the most spectacular bus rides in all of England, an open top ride with views that will simply take your breath away, with buses running up to every 30 minutes. There&apos;s that cliff hugging, dizzy climb from Alum Bay right up to the Needles Battery, high up where the vistas out to sea are intoxicating. 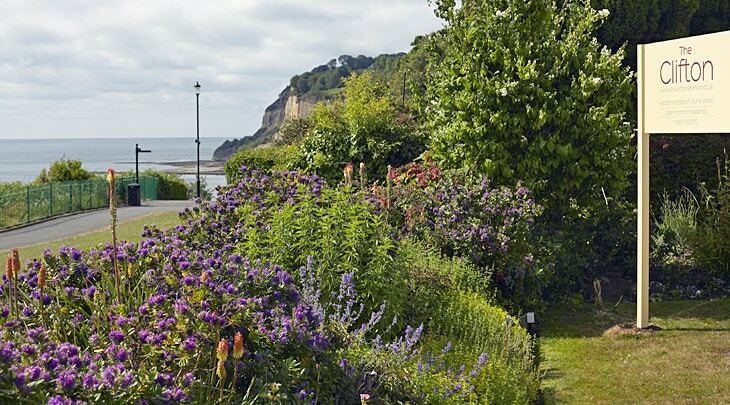 The route also links Yarmouth to Freshwater Bay, Dimbola Museum and Galleries and Fort Victoria Country Park. The Downs Breezer follows a circular route through pretty countryside, across the tops of the Downs with views out into the English Channel, across the Island and further on towards mainland England. The bus links the Esplanade with Ryde town, Wootton Station, Robin Hill Adventure Park, Sandown Seafront, Isle of Wight Zoo, Dinosaur Isle, Browns Golf Course and Bembridge. 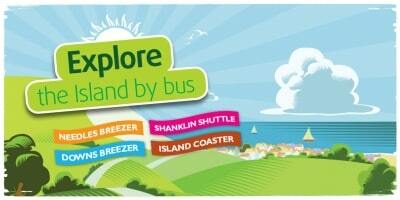 Our open-top double deck buses with friendly local drivers run every hour from Ryde. The Isle of Wight Classic Buses, Beer and Walks Weekend 2018 is on its way. It will be over the weekend of 13th & 14th October. Planning for this year&apos;s Classic Buses, Beer and Walks Weekend is well underway. Although it&apos;s not for another seven months, there is a huge amount of preparatory work to undertake before the event itself. Last year around 90 classic buses and coaches participated, with many vehicles making the trip from the mainland at the owners&apos; expense. 14 different routes were operated, totalling some 8,500 miles over the weekend. This year will see a few revisions to the route network based on feedback from visitors, vehicle owners and volunteer marshals. Some 80 pubs and other licensed venues took part in the 2017 event and all of these will be approached for 2018. Taking the no.12 bus from Newport, a beautiful route through pretty, quaint villages before heading out to the Islands most famed Military Road. Hop out at Freshwater Bay and visit Dimbola Lodge, home of the celebrated Victorian photographer Julia Margaret Cameron. It is now a gallery dedicated to her life and work. With around 70 miles of varied coastline to explore, from soft yellow sand to impressive chalk cliffs, quiet coves to holiday resort arcades, there is a lot see The Island Coaster, the ever popular summer service linking Ryde, Sandown and Shanklin with the West Wight area via Ventnor, Blackgang and Alum Bay, is the longest bus route on the Island. Along the Military Road the journey gives panoramic views of the &apos;Back of the Wight&apos; coastline between Blackgang and Freshwater Bay. The views of the coast from the upper deck are not to be missed, don&apos;t forget your camera!